Your signature is as unique as your finger prints are. It reflects your personality and to some extent your fate too. Your signature possesses certain traits that reveal your character and sense of disposition. If analyzed carefully, it can warn you against any mishappening in your life. Just go through our case studies and you will come to know more about our exceptional ability of signature analysis. 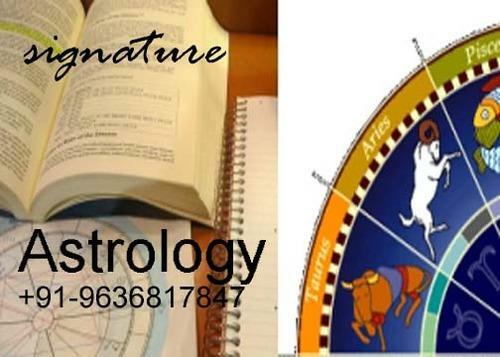 signature Astrology work in Caree Astrology prediction, jobs problem, Business problem and more life Relative problem sole by Signature Astrology service. Offering horoscope match making astrology services, love marriage specialist astrology services etc.